ROBOT JOX: The Robot Fighting Side Of Stuart Gordon – Schlockmania! It’s easy to forget that Stuart Gordon, the horror maestro behind Re-Animator and From Beyond, happens to have a nice touch when it comes to children’s entertainment. He devised the story for the Disney hit Honey, I Shrunk The Kids! 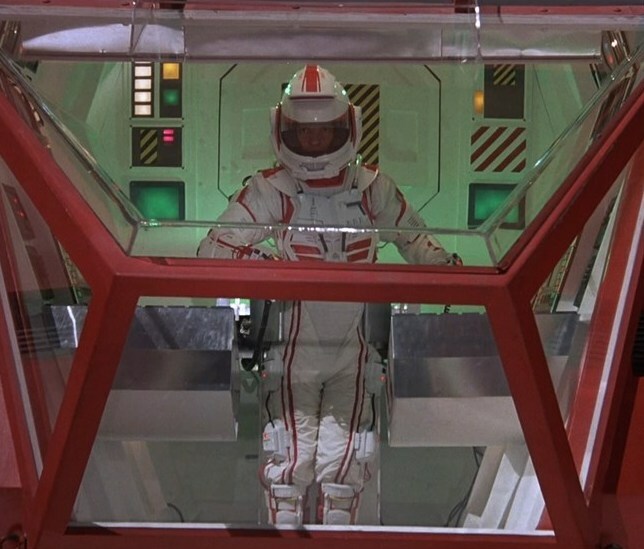 and also directed a well-regarded adaptation of the Ray Bradbury story The Wonderful Ice Cream Suit. Even his horror effort Dolls plays like a fairy tale for adults. Robot Jox is a particularly interesting example of the kid-friendly side of Gordon’s oeuvre as it also adds in sci-fi and action elements that make it feel like a robot-driven anime brought to life. Robot Jox takes place in a future where countries have abolished warfare after World War III. 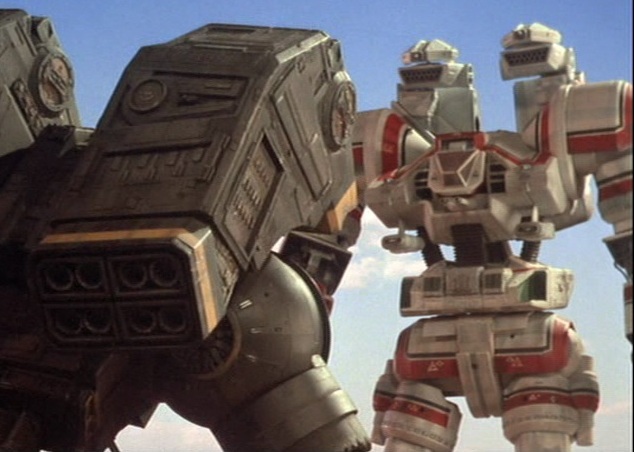 Disputes between nations are settled by giant fighting robots – and Achilles (Gary Graham) is the top fighter for the U.S.A. He squares off with his ruthless nemesis, the Russian fighter Alexander (Paul Koslo), for what is supposed to be his final fight. However, their match is inconclusive and destructive due to Alexander’s ruthless tactics. Achilles walks away from a potential rematch but finds himself tempted to return when Athena (Anne-Marie Johnson), a new robot pilot that has caught his eye, is set to take his place. Those who are accustomed to Gordon’s horror work will be stunned by how tonally different Robot Jox is from those films. He goes for a crowd-pleasing, high-octane approach that feels like an ’80s Joel Silver-style live action version of a cartoon like Macross. The script by sci-fi author Joe Haldeman adds some satirical touches, like government-sanctioned betting on the matches and the robot pilots being ruled by pro sports contracts, but the main focus is on robot-fighting action. Gordon’s pacing is lean and he stages the epic scale robot fights with kinetic verve. It also helps that the robot effects are impressive for a modestly budgeted production. 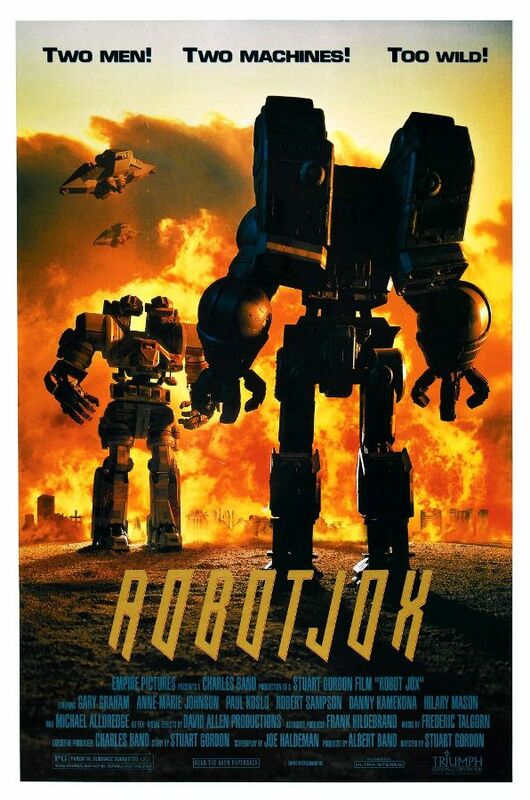 Robot Jox had a troubled production, with Empire going bankrupt in the midst of production and a few years between the filming of the live action material and the completion of the effects. A few of the optical shots vary in quality and there’s the occasional duff practical effect (the flying cars suffer the most) but the robot fights are consistently impressive. The big setpieces mix Thunderbirds-style scale model effects with excellent, skillfully-staged stop motion shots masterminded by David Allen. Anyone with a love for handcrafted practical effects will be thrilled with these fights. Finally, Robot Jox boasts fun performances from a game cast who appreciates the satirical edges of the material. Gordon seems to be poking fun at the jingoism and machismo that ran rampant in the ’80s and he gets fitting comic book-style performances from his actors. Graham offers a lively lead turn and gets a worthy foe in Koslo, who devours the scenery in a way that suggests Ivan Drago from Rocky IV crossed with one of Red Dawn‘s Russian villains. Also worthy of note are Johnson, who brings a genuine intensity to her tough-chick role, and Michael Allredge’s spirited work as a good ol’ boy-style trainer. Re-Animator fans will also have fun watching Robert Sampson playing a commissioner who presides over the American fighter team and a quick cameo from Jeffrey Combs as a townie watching the robot fights. In short, Robot Jox is a fun sci-fi action romp and a nice change-of-pace surprise for fans of Gordon’s horror films. If only the Transformers films were half this much fun.